EST Adventure is one man’s dream come true. No achievement in life, no peak climbed and no journey to the remotest part of the world can be fully appreciated if there is no friend with you to share the joy. It is for this very reason that EST Adventure was established – to share with you the wide experience gained by a small group of people in expeditions, explorations and adventures over the past fifteen years. We believe that deep down in every one of us lies a little explorer, who, if given proper support, could climb even the highest peaks of the world. It only takes a little persistence to regain lost confidence and everything is possible. The people who have joined us and achieved their dreams, the dreams they could not even say loudly before are undeniable proof. Under our guidance over 250 mountaineers have successfully climbed the peaks over 6000 m high, and over 20 of them have had opportunity to view the world from summits over 8000 m high, the youngest of them was 18 years of age when he reached the top of Aconcagua (6962 m), while the oldest celebrated his 70th birthday on the same peak. We shall not forget to mention those to whom objectives and major achievements do not represent the essence of their efforts, but it is the path they follow and the vastness they explore that they cherish. With them, we have travelled around areas seen by only a very few, met people whose simplicity of life and purity of soul changed our views of the world. Climbing to the top of a mountain is not just about testing your abilities; the experience that slowly penetrates your mind during the expedition, continuous questioning of yourself, insight into and discovering of your own inner self. It is a permanent process of self-knowledge in communication with Nature, and with other people in extreme conditions of life. It is also the communication with the people you meet there that will make you reconsider some of your own beliefs and prejudices. The encounter with another culture and way of life helps us gain a better perception of ourselves when we return home. What is important is not whether their or our views are right, but the broader viewing angle we gain by considering their points of view, either inward or outward. In everyday life we are witnessing a great alienation between people, flourishing of individualism and egocentrism, fear of straightforward and honest communication, loss of confidence, which are all occurring before our own eyes… To travel together with like-minded people and share an experience can mark the beginning of a new chapter in your life. So, I am inviting you to join us on our adventures, to change together and go back home feeling completely renewed after each trip, with a secretive smile at the corners of your mouth, the meaning of which will remain unknown to all but a few. Life is wonderful. Petar is a mountain guide and a professional photographer. His long-time dream of climbing Mt. Everest came true on May 20th 2007, when he became the first person from Bosnia and Herzegovina to reach the roof of the world. Before that, he successfully climbed Aconcagua (6962m), Cho-Oyu (8201m), Denali (6194m), Lobuche East (6119m), Kilimanjaro (5895m), Mt. Elbrus (5642m), Mont Blanc (4807m) and many other peaks in Alps and Balkan peninsula. He is a passionate photographer which he combines with his undying love of nature and mountains. His wish is to dedicate his life to leading expeditions, as well as to sail around the world one day with other members of EST. He is a member of Mountain guide association of Serbia. Aconcagua (6962m) and Manaslu (8163m). He has led groups several times to Manaslu (8163m), Aconcagua (6962m), Denali (6194m), Damavand (5671m), Mt. Elbrus (5642m), Mont Blanc (4810m) as well as Mt. Everest (8848m). During 2015 he led the first all women expedition in Himalaya. Radomir was born on July 11th 1991 in Belgrade, where he currently lives. In 2005 he went on his first mountaineering trip, and that was the moment when the outdoor seed started sprouting. This led to other interests, hobbies and expeditions in the areas of speleology, sport climbing, alpinism, skiing, orienteering, sky running, mountain biking, diving. During his mountaineering career he assisted ascends on expeditions to Island Peak, Lenin Peak, Ljuboten, Triglav, Grossglockner, Elbrus, Musala, etc. 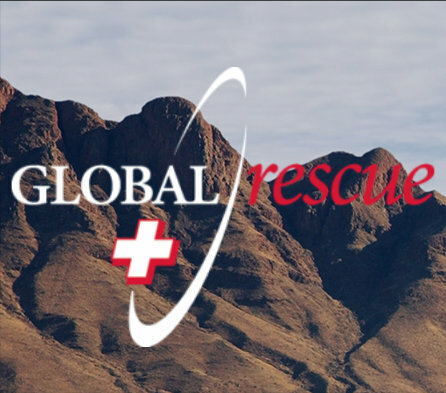 As a member of Mountain Rescue Service, he is continuously improving his knowledge and skills by participating in different educational projects in Serbia and abroad. As a result of his efforts and accomplishments, he joined the Instructor Team and the Commision for general mountain conditions in the Mountain Rescue Service. Since 2016 he has been recognized as one of the top sportsmen in the Republic of Serbia. 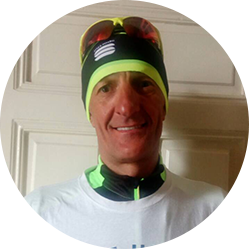 Goran Ferlan began his career in sports as a marathon runner, participating in over 50 marathon races all around the world. Following that, in 1996, he began his career as an alpinist. 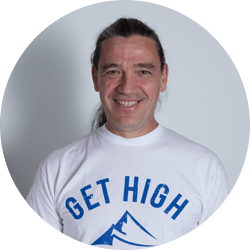 Climbing four peaks over 8000 meters in height, Goran has additionally participated as a guide in the following expeditions: Kala Patthar (5545m), Aconcagua (6956m), Mont Blanc (4807m), Cho Oyu (8201m), Ama Dablam (6812m), Mount Everest (8848m), Mount Ararat (5112m), Kilimanjaro (5895m), Baruntse (7129m), Shishapangma (8013m) and Gasherbrum II (8035m). 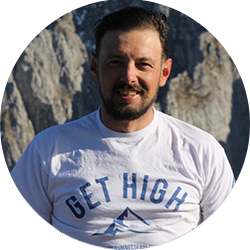 A mountain guide with a great deal of experience, he is also a licensed mountain guide and a member of Mountain guide association of Serbia. Mountain Rescue Squad member since 2012, and member of technical team since 2014. Worked as instructor for last two basic courses. Regular as a ski patrol and basic technical rescuer. Advanced winter rescue course successfully finished in Romania in 2016. More than 25 years of skiing experience (including several ski mountaineering and ski touring ascends in France, Montenegro, Romania, Slovakia, Albania). 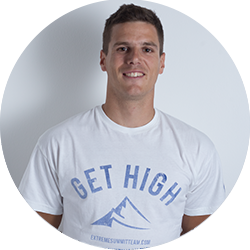 Toma has almost 20 years of experience in the outdoor sports, and he’s an active alpinist for more than 15 years. He already has a few hundred routes climbed under his belt, with more than 50 first accents. His main passion is climbing and exploring the hidden gems in the Balkan region, where he climbed everything, from frozen waterfalls to big, middle century walls. 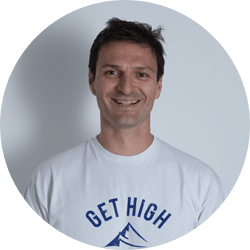 He is a member of Alpine club Belgrade, for over 10 years as an instructor, where he focuses on teaching new climbers their first steps in the world of climbing. He’s a backcountry skier too. He successfully summited numerous peaks above two thousand meters. 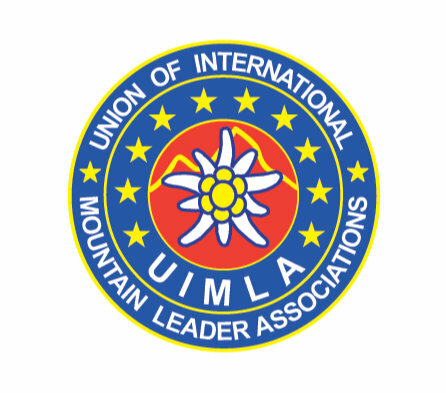 He is a licensed mountain guide according to UIAA standards. For the last 7 years Toma found his new passion. Kayaking on calm and white waters, taking him from sea costs all the way up to mountain rivers. He’s also a certified scuba diver and is licensed as a rescue diver (PADI). Building on that diving experience, he started exploring and spending time in canyons all over Balkan. He’s a passionate MTB rider and explorer of hidden paths and mountain secrets. For the last 5 years he’s a licensed mountain and kayak guide. He successfully guided people from easy kayak rides, to high mountain peaks. More the 500 people was under his tour leadership for the past few years. A true Balkan expert, Toma always has something new to teach you or show you of the beaten path. Nikola was born in Belgrade in 1979. and he lives there since. Spending holidays in the mountains of Serbia and Croatia, early, he realized that real adventure was in the nature, so Nikola’s main interests and passions became within mountaineering disciplines such as hiking, trekking, alpinism and sport climbing. More than 100 summits, in which majority are the summits above 2000m, with a very high degree of success, gives him a great deal of experience. Mountains that require endurance and technique are the epithet which he wants to build his name. He personally guided or assisted over 500 climbers to reach their peak or goal. 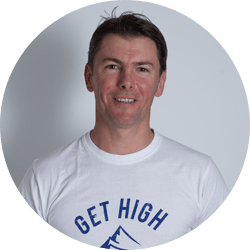 He’s an avid alpine climber, climbing over 200 alpine and sport routes all around Europe, with a lot of first accents, thus focusing on his technical skills as a climber. He always says that he acts like an athlete and thinks like an engineer, which gives Nikola a sort of calm stability and high focus when the situation requires. Member of Belgrade alpine club, where he still participates and helps in training of new alpine climbers. He’s a licensed mountain guide according to UIAA standards. Other interests are running - half marathon, 5K and 10K races, cycling, skiing, scuba diving. He works and lives in Belgrade with his wife and son. Branislav Curcin, born and raised in Belgrade, Serbia in 1991. He uses every chance to escape rush hours and big, crowded cities. He is one of our youngest team members, member of “EST Aconcagua 2016” expedition and a licensed Serbian mountaineering association guide, as well. 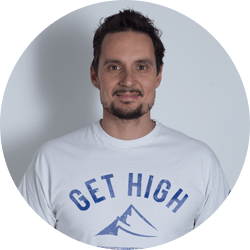 He’s into lot of outdoor activities like mountain biking, climbing, ice climbing, hiking, backcountry skiing etc., but his main passion is definitely canyoning! During the last 10 years, he has visited most, if not all, interesting canyons on the Balkan Peninsula. When it comes to execution of his canyoning tours, safety is his number one concern. 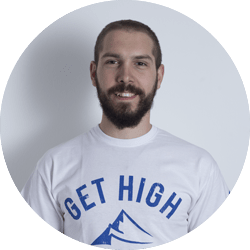 He’s a licensed lifeguard and first aid instructor, Swiftwater Rescue Technician and Mountain Rescuer, as well, who’s going to do everything for you to have an unforgettable canyoning experience! Kenan is born on 17th of January 1975 in Sarajevo, where he lives and work as well. He fell in love in nature and mountains ever since he was a little boy, and continued on this path today, as an active mountaineer and alpinist for over ten years. He is also a caver and quite active backcountry skier. Last years he was working on landmine clearance projects abroad, and he spent more than five years in the fields of Africa and Tajikistan. He successfully summited numerous peaks above two thousand meters, but his most significant ascents are highest peak of Ethiopia – Ras Dashen 4550 m, highest peak of Swiss Douforspitze 4632 m, Peak Energy (5120 m) in Fan mountains (Tajikistan), highest peaks of Kenya, Nelion (5188 m) and Batiyan (5199 m), Kilimanjaro 5890 m, and Ama Dablam 6812 m.
In last five years he led Kilimanjaro expeditions for EST Adventure with a success rate of 100%. For ascent on Ama Dablam, Kenan has been awarded honorary golden badge Mountaineering Association of Bosnia and Herzegovina. 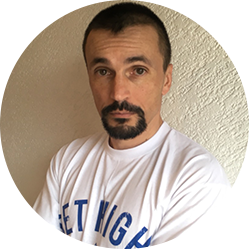 He is a head of mountaineering and alpinism section of Mountaineers Club “Zeljeznicar” from Sarajevo and member of expedition commission of Mountaineering Association of B&H. Aleksandar is the only active sportsman in the world that has competed in three different disciplines (cycling, nordic skiing and biathlon) at the winter and summer Olympic Games. 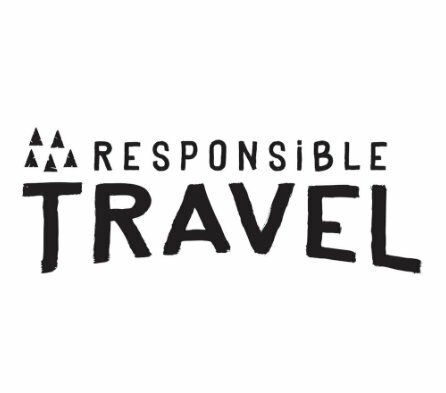 At EST he works as a mountainbike guide handling all tours across the Balkans, and the world as well. As a member of EST he climbed the highest peak of South America – Aconcagua (6962m). -	Balkan team cycling champion (1985). Climbed almost all peaks in Serbia, Montenegro, Kosovo and Albania, most notable are: Olimp – Greece, Musala - Bulgaria, Vihren - Bulgaria, Karapates - Romania, Maja e Jezerces –Albania, Šar planina - Macedonia, Djeravica - Kosovo, Mont Blanc - France, Dome de Neige - France, Materhorn - Switzerland, Aconcagua - Argentina, Island Peak – Nepal, and many, many more. Experience: 12+ years of experience as a mountain ang hiking guide. •	License for mountain guides (Category E-heavy winter tours) - MOUNTAINEERING ASSOCIATION OF MONTENEGRO AND MINISTRY OF TOURISM. 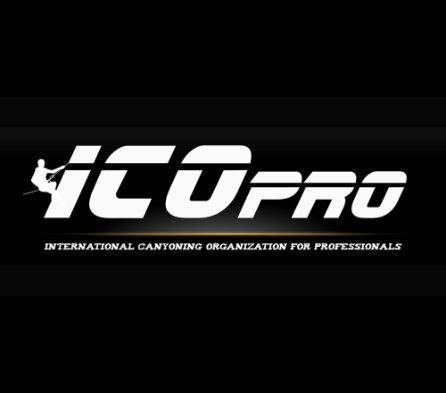 Other: Skiing Instructor, sport climbing, mountain biking, kayaking, caving, nature lover and wildlife research…etc. 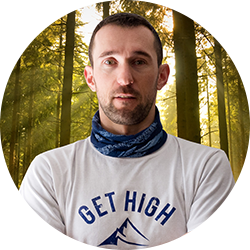 An active mountaineer and climber trainee in the last 7 years, Igor is also an mountain guide, cyclist, skier and member of the Mountain Rescue Service. 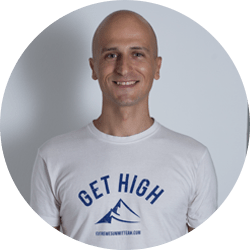 His significant climbs are: Elbrus 5642 m, Mon Blan 4810 m, Gran Paradiso 4061 m, Grossglockner 3798 and many other peaks in the Alps, with a narrow specialty in mountain ranges on the territory of Bosnia & Herzegovina and the whole Dinaric mountain range, where we can safely say that he climbed pretty much all peaks on them. For his achievements and work, he has received many awards and recognitions such as: Special recognition for the promotion of the sport of the Municipality of Gradiška, recognition by the Mountaineering Union of the Republic of Srpska for the rise and lead to Elbrus. He also completed the PSRS Guides School, Summer and Winter Alpinism course in AOB, attended the Mountain Rescue Training and licensed the "trail scout" of the "Leading Quality Trails - Best of Europe" marking and equipping of pedestrian roads under the auspices of the European walking organization ERA-EWV-FERP. Biljana Medenica was born on December 31st 1980 in Kolasin. Beside mountaineering, sports climbing and orienteering she is into speleology. She is particularly fun of winter sports (she drives snow board and Nordic skies). She like spending time in nature. She climbed on multiple peaks around 2000 m in Montenegro and in region of the Balkans. Peaks on higher elevation on which she climbed are: Lenin peak 7134-Pamir, Island Peak 6198 and Tharpu Chuli 5663 - Himalaya, Elbrus 5642-Caucasus, Ararat 5137, Mont Blanc 4808 and Grand Paradiso 4061- Alps, etc. She completed summer and winter alpine courses organized by Mountain Rescue Service of Montenegro. She is instructor for establishment and marking of mountain and bicycle trails. She has recognized national licence for guide of E category (guide for difficult mountain tours), which includes all lower categories (guide for easy winter tours, difficult and easy summer tours). She completed guiding course for hiking during spring, summer and autumn organized by Austrian Montenegrin Development Agency. She completed guiding course for snowshoeing organized by Austrian Montenegrin Development Agency. She is licenced Master Educator Course for Leave No Trace (ethical behaviour in nature with as little possible influence on environment). Won a gold medal and participated at National championships in orienteering. She is a winner of plaque for top results and special contribution to development of mountaineering in Montenegro which was awarded to her by Mountaineering association of Montenegro. 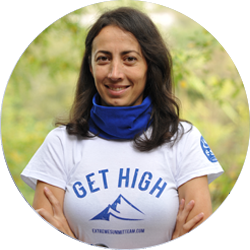 With the ascent on Lenin peak she became the first woman from Montenegro that climbed on the peak above 7000 m.